DEAL EXPIRED: Save up to 54% off your stay at the Cove Kettering with package deals from Luxury Escapes. The perfect base for exploring Kettering and attractions of Hobart, The Cove Kettering is pure luxury. Once a town of simple whaling stations and logging camps, Kettering now offers accommodation fit for the pickiest of travelers. The Cove offers visitors the perfect retreat style getaway to clear your head and escape the daily stress. 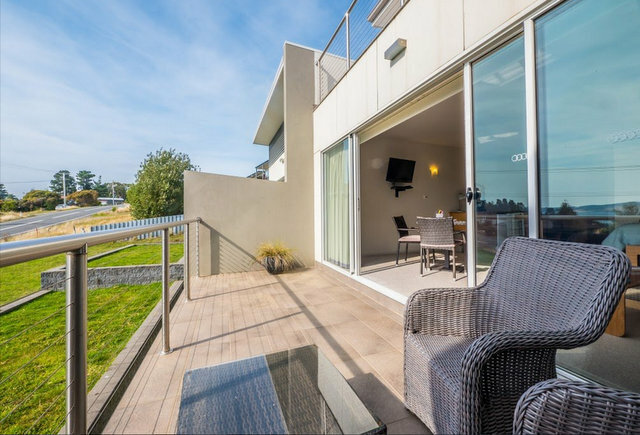 All modern rooms offer queen sized beds and pristine bathrooms along with your own private balcony overlooking Oyster Cove Marina and Bruny Island beyond. 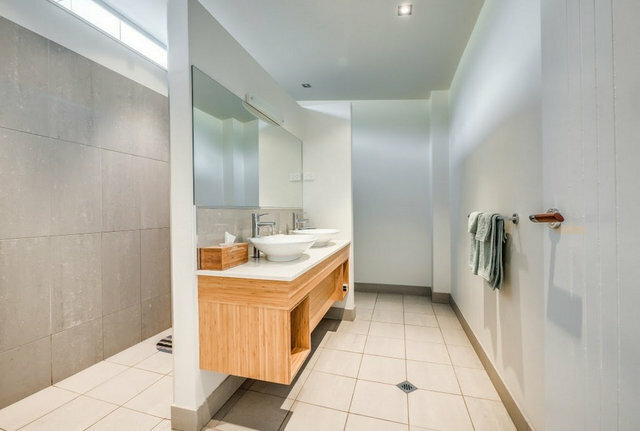 Tasmanian winters can be cold but be assured you will stay warm with underfloor heating, heated towel racks, heated electric blankets, and a fireplace in the main shared common area. Nightly homemade chocolate truffles and an enticing breakfast menu offer the icing on the cake for an all around wonderful stay. It’s no wonder they continue to rack up certificate of excellence awards year after year. Kettering has recently come to the public’s attention with the new 15 million dollar television drama The Kettering Incident, which was filmed in the town as well as nearby Bruny Island. Once a town of whalers and sealers, it is now home to incredible artists displaying a great range of talents. The Bruny Island ferry, Mirambeena, is just a short walk from the comforts of your room at The Cove Kettering. Home to the famous Cape Bruny Lighthouse, cheese factories, oyster farms, and rare Tasmanian endemic wildlife (like the white wallaby), Bruny island makes a great day trip. The Cove Kettering has teamed up with Pennicott Wilderness Journeys to offer a magical cruise of Bruny Island. When you book a discounted package rate through Luxury Escapes, you can include a Bruny Island cruise with your accommodation. Other Kettering attractions include my personal favorite the Raptor and Wildlife Refuge allowing one to get up close and personal with Australian Wedge Tailed and White Bellied Sea Eagles as well as owls and falcons. Apple, pear, and cherry orchards offer pick your own produce experiences and local eateries serve up the town’s culinary delights. Just a short drive to Hobart and you’ll find yourself in one of Australia’s most up and coming vacation destinations. Hobart has already been touted as a must visit city by many recent travel guides and for good reason. Visitors can experience the famous Salamanca Markets, the grandeur that is Mount Wellington, the beauty of the Royal Tasmanian Botanical Gardens, or the eccentric Mona Museum. The Mona (Museum of Old and New Art) is Australia’s largest privately funded museum and hosts the annual MOFO and Dark Mofo festivals. Don’t forget to check out Mawson’s Huts located in Hobart, which showcases a replica of the Antarctic explorer’s Douglas Mawson’s famous Antarctica huts and museum. The Cove Kettering is centrally located to many of Southern Tasmania’s key attractions which can all be experienced with day trips from Kettering. History buffs can check out the famous Port Arthur while nature enthusiasts can hike through Mount Filed National Park to experience one of Tasmania’s most beautiful waterfalls. Take your trip to new heights with Tahune’s Airwalk where you can walk 50 metres above the forest floor or head underground to witness the magical Hastings caves and nearby beautiful Southport. 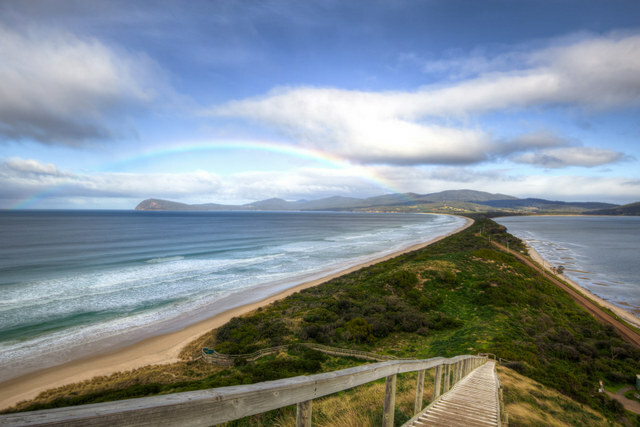 Photo credits: Featured header image of Bruny Island by Anthony Tong Lee. The Cove Kettering courtesy of property management. Bruny Island by Adam Selwood. 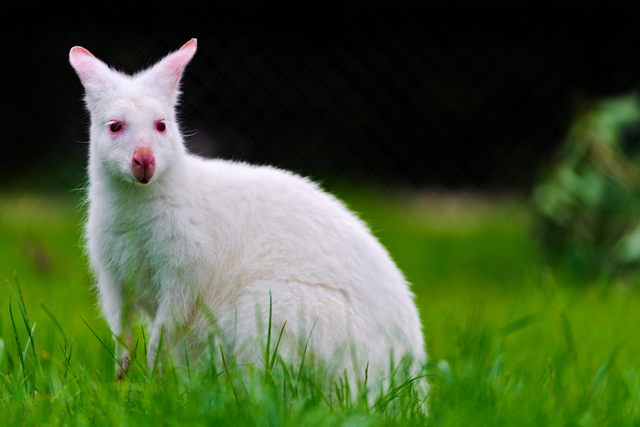 White wallaby by Tambako The Jaguar. I can forsee a really big ecotourism boom coming very soon – people are starting to realize how beautiful and untouched Tasmania actually is, and some really thriving culinary and arts scenes are taking off too. Kettering and the surrounding areas look and sound like a dream! We’ve never been to Australia but we’ve actually be talking about going next year. We might have to make Tasmania and Kettering a stop while we are there! Cove Kettering looks like a great place to shack up too :-) I don’t mind free chocolates every night! Seems like a good central location for exploring much of the area too. Thanks for sharing, Meg! Tasmania seems to be a destination that people forget from their Australia itineraries, but they’re definitely missing out. It’s an incredible destination, and has some of the most astounding natural beauty in the country. Kettering is a great central base for the best of everything. Hope you have the chance to visit the Cove soon! It sounds like the perfect spot to base yourself from. Love the little luxurious perks doled out. Absolutely – very central to some of Tasmania’s best attractions. And the cove is a wonderful luxury base. Hope you have the chance to travel soon! You sold me with “nightly homemade chocolate truffles” before I even got to the rest of the descriptions or the pictures of these gorgeous and comfy accommodations. Seriously, the Cove Kettering sounds like an amazing base for exploring. Oddly enough, one of my friends from college just moved to Hobart. I’m going to have to send him this! I’d love to explore the Cape Bruny Lighthouse (I have to hit the lighthouses wherever we travel) and the cheese factories (of course!). And we couldn’t leave out the wildlife refuge. So much to see! It’s a definite perk! I love that the Cove incorporates the best Tasmanian produce and cuisine into their experience – Tassie is becoming quite the gourmet culinary scene! as a chocolate fiend the homemade chocolate truffles definitely sold me. As a 9 year old boy trapped in a 41year old man’s body, the RAPTOR Refuge sold me too. 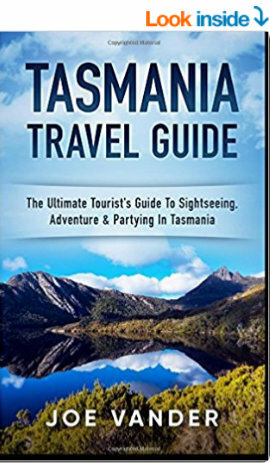 I never had Tasmania on my bucket list but the more I read and see how its evolving, then it is moving its way up! What is that albino animal? A Kangaroo? Sounds like you would love Tasmania Eric – the albino animal is a white wallaby, quite unique to Bruny Island – it’s an incredible species to see! Looks like a perfect point to pivot from when I finally make it to Tasmania. Love the idea of being close to Hobart but not in the middle of everything. Nice being close to the ferry as well. Absolutely – it’s a really nice central base, being inbetween Hobart and with easy access to Bruny – it’s a wonderful luxury escape! I haven’t been to Australia yet, but when I do, Tasmania—and the Cove Kettering—look like a fabulous place to put on my itinerary. I never got to get out to Tasmania (even though I lived in Aus for 2 years, yes shame on me lol) Looking back I wish I did visit, I’m sure I’ve missed a treat there. Well I guess next time I go back to Aus I’ll have to pay a visit and maybe even splash out and stay at the cove, Free chocs how can you go wrong haha. Sounds like you have the perfect excuse to plan a return trip Amit :) Hope you have the chance to discover Tasmania soon! 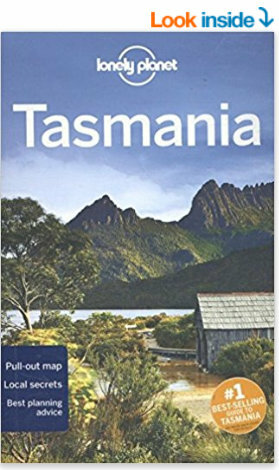 Ah I can’t believe we still haven’t made it to Tasmania. Hoping to next year. Kettering will definitely be on the list and will be bookmarking your accommodation recommendation – it looks stunning. Bruny Island is of course somewhere we have heard more about than Kettering and you had me at cheese and oysters. This really looks like the perfect road trip itinerary while exploring Hobart. Thanks for the tips. Awesome Skye, you’ll have such a fabulous time when you visit next year :) And yes, the Cove Kettering is a stunning place to base yourself especially if Bruny Island is already on your radar. I love exploring places that are not very touristy and that still maintain their charm and Kettering seems to be one of those places. I am a foodie so the local cheese factories and oyster farms are definitely a must visit for me. Haven’t been to Australia or Tasmania but would love to visit someday. 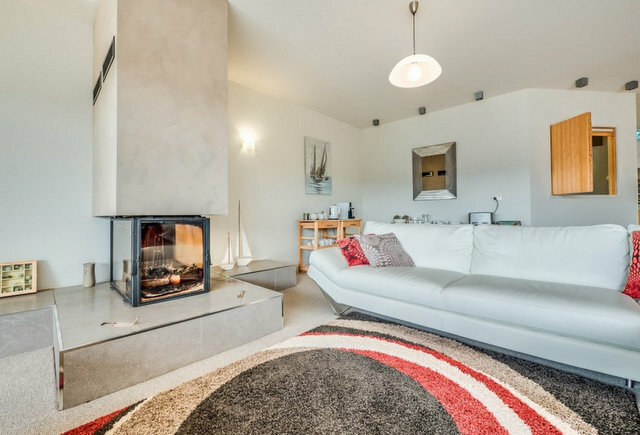 With underfloor heating, heated towel racks, fireplace and of course the nightly homemade chocolate truffles, Cove Kettering sounds like a lovely place to stay. Bookmarking it! Hope you have the chance to visit Tasmania soon! Ahhh Tassie, what a place!! We went there for a few years ago and absolutely loved it. So much good food, beautiful nature and outstanding wine. We never got to Kettering but it sounds pretty spec. The Cove Kettering also looks super lush. Is the photo with the fire place taken in your room? If so that is MASSIVE! Underfloor heating and heated towel racks always tickle me in just the right places. Such a luxurious treat! Hope that we can get there one day. So glad to hear you enjoyed Tas the first time you came. Hope you have the chance to plan a return visit soon! Kettering sounds like the perfect artist getaway. Chocolate truffles, heated floors, towels and the little thoughtful luxuries makes the Cove sound really amazing. 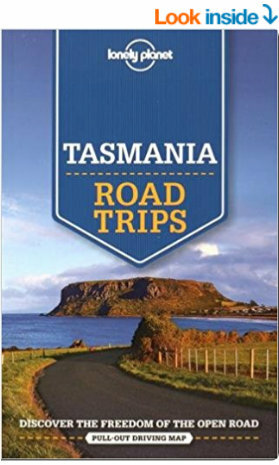 I’d love to visit Tasmania and hope to check it off my list soon! Absolutely Rosemary – Tasmania has an incredible local artisan scene, and I love that towns like Kettering, and properties like the Cove are incorporating tourists and offering the chance to get right in among it; a truly luxury / immersive escape! I had the opportunity to visit Tasmania the last time. Honestly it was a spur of the moment trip that I just decided to say “yes” to. I’m glad I did. But I haven’t been to Kettering so I guess more reason to go back. I’ve ever heard about Kettering, but it sounds absolutely wonderful. I really need to make it to this side of the world. Tasmania is one of the places that I’d love to explore though, so thanks for bringing awareness to this part of it! The Cove sounds like the place to stay! Free homemade chocolates?! Yes, please! I’m glad that we could introduce you :) Tasmania is our home now, so it’s a place I’m really passionate about – looking forward to exploring further and shining a light on magic destinations which should be on everybody’s list! I always like to find a quiet retreat away from the big city to use as a base for my travels, and Kettering sounds like the perfect place. I can picture myself standing on the private balcony at The Cove Kettering and staring out at Oyster Cove Marina and Bruny Island. I think I would like to take one of the Bruny Island cruises, too. We do too – Kettering is a great place for an out of city base from Hobart – the perfect inbetween point with easy access to the city, but in a far more natural and relaxed surrounds. I’m sold on Tasmania. I would love to hike to the top of Bruny Island and enjoy the view. Although my main reason for going to Tasmania is to go see a Tasmania Tiger (fully believe that they are alive and Tasmanians are hiding the fact). The Cove Kettering is so beautiful! Plus the nearby places that are available to visit awed me, too! Especially your Bruny Island snapshot, so stunning!!! Isn’t it!! Definitely a great property to choose if you’re after a luxury adventure in Tas – it will most certainly awe you! Hope you have the chance to visit soon Ollie – if you’re interested in wildlife and landscapes, Tasmania is definitely the place for you! Wow! Stunning location I will surely love staying here. The view is fantastic and the room looks so big. I will surely consider staying here when I visit Tasmania :) I love the beautiful spot overlooking the marina. Glad to hear it Cai – you’ll love the Cove & have such a fantastic time!